This month's designer select is playful, bright and full of jungle fun. 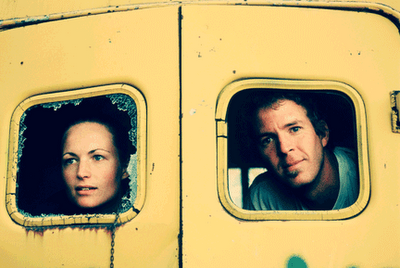 Bungle Jungle is the first collection by Tim and Beck, a husband and wife duo at Moda Fabrics. After making the switch from designing paper goods and moving from Utah, Tim and Beck have found themselves in California designing fabric. The change of pace suits them very well. Tim and Beck chose twelve prints and three solids to create their designer select bundle, and are making their first appearance on the Jolly Jabber to chat about it! A: Turquoise and gray, I simply can't get enough! I loved the way the classic red popped next to the turquoise and gray so i chose a few red accents to add to the bundle. One of the 3 statements is false. Comment on this post telling me which statement you think is false. 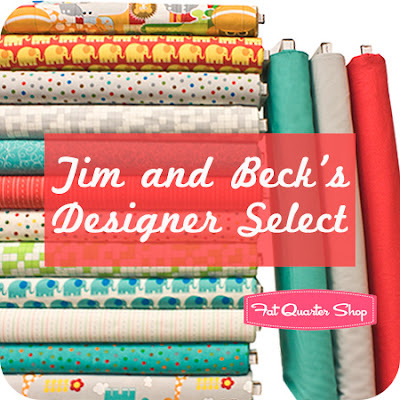 Answer correctly and you have a chance to win Tim and Beck’s Designer Select Fat Quarter Bundle!